Last week you learned that it takes a village to help shoulder the load. This week, you’ll learn what it means to carry your own load–or portion. How are we supposed to bear others burdens including one own? Make up your mind Paul! “Carry each other’s burdens, and in this way you will fulfill the law of Christ. For each one should carry their own load” (Galatians 6:2, 5, NIV). It seems that Galatians 6:2 and 6:5 contradict each other. They seem very confusing, but I decided to study these scriptures because I was totally confused. When I studied these scriptures, I realized they weren’t in contradiction at all. There are two sides to every coin. 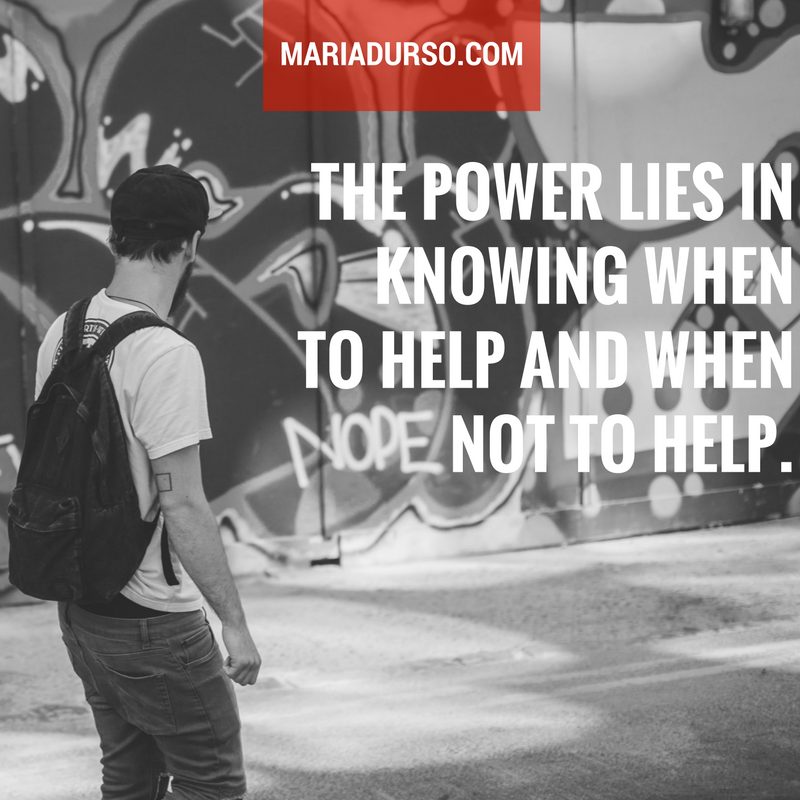 The power lies in knowing when to help and when not to help. The Greek word for burden in this context is Baros. It refers to a weight that is crushing or a boulder. A weight that is excessive. It refers to a weight that is so heavy that it would literally crush you. “We do not want you to be uninformed, brothers and sisters, about the troubles we experienced in the province of Asia. We were under great pressure, far beyond our ability to endure, so that we despaired of life itself” (NIV). You’ve felt that kind of pressure. I’ve felt that kind of pressure. How are we supposed to help others carry their burdens when ours feels just as crushing? The Greek word for burden is totally different. In Galatians 6:5, the word for burden is Phortion. It would seem we get the English word portion from it. This was a military term. It spoke about the soldier’s backpack that they carried on their back. Soldiers had to carry their own backpack. It was according to their size and their weight. Nobody could carry their backpack for them. It was the soldier’s responsibility. In the cargo of every day life, we all have responsibilities. They are adjusted according to your age and situation. Toddlers are given a knapsack. They have to clean up their toys. When they get older, they learn how to clean their room. We all have to clean our own house. Nobody should go food shopping for us. We have to go food shopping for ourselves, unless we’re under the strain of a boulder. As long as we’re healthy, we have to carry our own load. When we carry someone else’s backpack we are not only carrying a burden that God never meant us to shoulder thus making our load so much heavier also. When we carry someone’s backpack we are interfering with Gods process of maturity in their life thus making them weak and lacking in character development. God has a way of developing us. He gives us strength according to the weight of the backpack. This pack is what develops and matures us. It’s what gives us muscle. It’s what gives us character. Question: Are you healthy enough to carry your portion or do you need someone to help you shoulder the load? Is there someone you can come alongside and help carrying his or her load? Thank you for helping me understand when and why I should help someone to bear thier burden. Sometimes it is hard not to step in when you see someone you love struggling in life. However as the old saying goes “what dosent kill you, will only make you stronger.” We know our loving Abba Father is not trying to kill us on this journey called life; He only wants us prepared. Although He may be using a circumstance to kill something in us.